Extra marital affairs is always been the favourite story line of Bollywood. 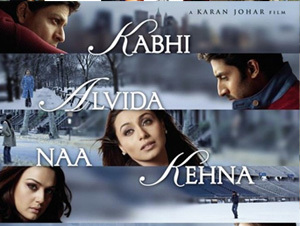 Films reflect the story based on real life which gives the actual hint about the society. 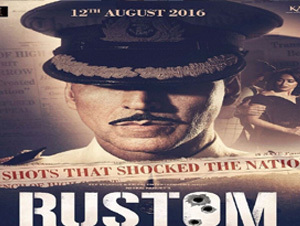 Recently released film ‘Rustom’ also portrayed the same story of the bitter side of marriage and society. And if we see relationships around us then you will realize that more couples are entering into a loveless relationship where feelings are ignored by money and comfort. 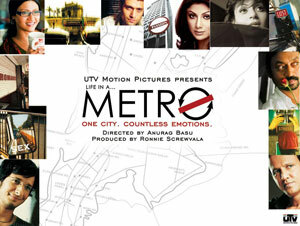 The movie tells the tangled relationships of couples in the metros, where people are so into their dreams that they forget about their personal lives. In the movie, Shilpa Shetty, who was always neglected by her husband get into relationship with Shiney Ahuja. Though, at the end she returns back to her family when she realizes her mistake. The story of this film dealt with bold and sensitive of extra marital affair in the era of 80’s. It showed the different layers of human nature. And so, the movie is considered as to be one of the masterpieces of Bollywood. The name of the movie itself reveals the whole story of the film. The movie showed the serious issue in a comical and satirical way. The film showed the other side of love affair outside the marriage in a very mature way. But still it was not the culture of India and people were unable to digest the story. It was the story of loveless married couples who instead of loving their partners fall in love with other person. At the end they move out of the marriage and quit their marriage and stay with their love. The movie was not liked by the Indian audience. Though the movie was based on real life story of Nanavati case of 1959 but it showed the all new side of affair outside the marriage, where a wife cheats his husband with his friend. It tells the story of a frustrated wife who starts enjoying the company of her music teacher and fells in love with him. The film also touches upon issues of patriarchal dominance and domestic abuse. The movie depicts the extra marital affair between sister-in-law and brother-in-law. It shows the struggle life of a woman who leave her husband when she came to know about his extramarital affair with her cousin sister. The film was way ahead of this time. Though the movie was based on the life of Shabana Azmi who starts living a independent life when she founds cheated by her husband but every aspect of extramarital affair was amazingly portrayed on screen. While most films took the ‘serious’ path towards establishing the consequences of an extra-marital affair, this one provided comical relief. The actor fall in love and get married. The couple has a son and life seems blissful, until the actor falls in love with his secretary and their happy married life become disaster. THANE: With the less than a week left for the festival of Diwali, the markets in the city are full of lights, lanterns and diyas. 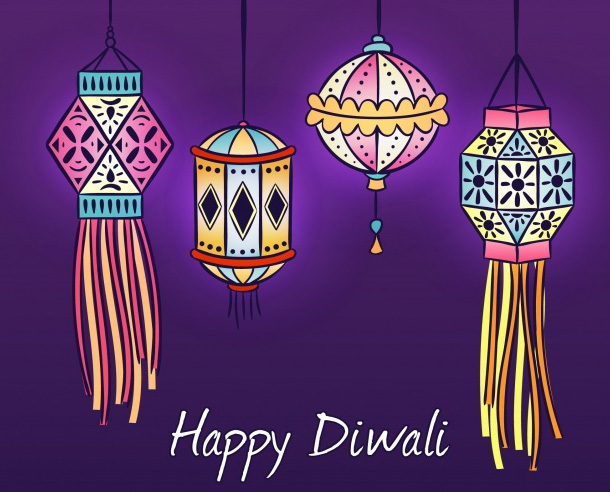 Be it a vibrant variety of cane, jute and cloth made kandils or reusable floating rangolis and traditional clay diyas, many stores have gone a step ahead and ensured that all their Diwali decorations are made from eco-friendly material in an attempt to be a part of the green celebrations this year. “We make out colours by crushing and drying some parts of plants including haldi, kumkum, indigo and rice. We started making it for a few people who used it in their home around goddess Lakshmi’s idol.Meanwhile many others then used artificial colour powders.Over the past few years, the demand for these natural colours is on a rise and we begin making it two months in advance to keep up with the demand,“ said Meena Bali (57) who has her stall on thane station road. “While there is a growing ri se for the fancy decorations on website, citizens continue to prefer buying traditional clay diyas, kandils and torans from the shops. We make clay diyas, floral torans, festive wall hangings and other such decorations with this traditional touch to cater to our customers,“ said Kusum Kothari (48), who runs a workshop with a team of eight other women at Vrindavan society. Many stores in the city have also started stocking up on ecofriendly rangolis and torans which are made from acrylic sheets, float on water and are reusable over the years. THANE:The Bombay high court on Wednesday lifted its stay on grant of occupation and commencement certificates to new constructions and building projects on Ghodbunder Road in Thane and Baner and Balewadi in Pune. THANE: The state public works department is mulling constructing a freeway between Shilphata and Kalwa to ensure a smooth and faster dispersal of traffic between Thane, Mumbai and Panvel, Pune on the old highway. A pre-feasibility study for constructing the approximately Rs 1,000-cr worth elevated road running above the six-km long Mumbra bypass road has been done by the Raigad division of the PWD that also maintains the old Pune highway. The route is an important and fastest connect between Thane, westerns suburbs of Mumbai with Panvel, Pune and even Konkan. The JNPT-Gujrat traffic also uses this corridor among others. As per plans, the elevated road would connect Y-junction near Bharat Gears towards Shil and Retibunder towards Kalwa. The six-km long freeway would have two lanes in each direction and would run parallel above the existing bypass road at an elevated level of seven metres. The new road would have all safety features including a robust periphery walls to arrest any vehicle falling off the speed corridor and also to avoid any debris from the hills to tumble on the concourse during landslides. The idea, say PWD officials is to augment the capacity on the dense corridor that has been facing massive traffic snarls for a very long time now. The bypass stretch is one of a vital connect between the JNPT, Pune and Konkan with the rest of the country and witnesses a huge flow of traffic throughout. However, as there is no scope for widening on the route due to geographical constrains of having a valley on one side and hills on the other, the only option is to go vertical, informed PWD officials. One of the advantages of the elevated freeway would be segregation of heavy and light vehicles that will get a speedier option to cross the perennially clogged stretch. “The existing bypass road witnesses’ massive traffic snarls at times that often lasts till hours at a stretch. Small vehicles like passenger cars and taxis often get stuck amid the heavy trucks and containers,” informed a traffic official. The need for the road was discussed recently at a closed door meeting of senior officials with public works minister Eknath Shinde who has assured to look into the issue. “The stretch witnesses massive snarls throughout affecting movement of not just freight but also passenger traffic. An elevated road should possibly solve the traffic crisis at the highway and we are pushing the freeway to be constructed on a priority basis,” said Shinde who also happens to be the guardian minister of Thane. Meanwhile, environmentalists have expressed worry at the ecological damage to the neighboring Parsik hills due to the construction works. THANE: The city witnessed one of the strongest monsoon season this year that could have otherwise ensured the water supply requirement of over 900 days for the city if it was tapped properly by the authorities. Experts, however, blame apathy on part of the authorities and rampant concretization that may have led to a bulk of this water to have drained into the creek. A massive amount of rain as high as 3,500mm showered over the 128 sqkms area of the city over the last four months in Thane city. Experts have estimated the volume of rains showered here to be nearly 4.43lakh million litres that is equal to the daily water supply of the city for nearly 900 days of the city. The lake city requires nearly 480 million litres of water daily for consumption and non-potable use that is supplied by the corporation through various agencies. A conservative estimate by the experts here reveal that some volume of rain water could have been percolated within the ground in the no development zones in the city like the Yeoor forests and other small green patches. However, a major volume of rain water would have been swept away to the creek as the city has seen rapid concretization over the years leaving bare minimum soil space left for water percolation. Further, the city has no reservoir that can tap and store the rain water for further use except the around 32 lakes that are also fast turning into ponds with the civic administration reportedly adding a cement layer to its sides. The city apparently lacks any mechanism to capture and store rain water and neither has it evolved any systems for smart use of this water over the years that eventually flows into the gutter. Activists say tapping the rain water would have also saved the corporation a notable amount of money. The city draws nearly 480million litres water from various sources like STEM, MIDC, BMC in addition to its own sources and incurs a monthly expenditure of Rs 85 crores for the same. “The corporation should promote storage of rain water that otherwise gets drained away. If there was a mechanism to tap this water, the civic body could have saved a lot on expense incurred on buying water from other sources as residents could have utilized this water during the monsoons,” pointed an activist. “There is an urgent need for tapping the abundant rain water in the ground and not allow it to so easily slip down into the drains. We have been wasting resources and money to draw water from far off reservoirs but are not ready to tap the abundant rain water. A huge amount of inconvenience and money could be saved if residents start tapping rain water and using it for non-potable purposes,” suggested an expert from Thane. “Percolation of water in the soil doesn’t happen fast in the city as there is less soil space available for percolation here. Water thus flows down the drain soon. We are appealing residents to adopt rain water harvesting to ensure we have a healthy underground water table in the city,” said a senior official from the water supply department. THANE: More than 23 per cent of the over 27,000 new-born and infants from the deprived pockets in the city have not been completely vaccinated and could be susceptible to infectious diseases and at risk of untimely death, said officials in the civic health department. “Of the total 27,614 kids in the 0-2 years bracket, we have records of 9,694 children who have either missed out on their dose or could be taking them soon,” said Dr Ram Kendre, medical health officer of the Thane Municipal Corporation (TMC). The TMC will be conducting a week-long special vaccination drive over the next four months. “The government is focusing on cities wherein children up to the age of two have not taken adequate vaccinations as per the immunization schedule. The focus is to make these children immune to diseases like polio, hepatitis B, whooping cough, et al,” added Dr Kendre. In order to make sure that all the children take the adequate vaccinations a survey was done in the HRA to identify the kids. “A week long drive will be conducted from October 9 to 14 where these children will be given the dose that they have missed at 27 health centers, five maternity homes and at Chhatrapati Shivaji Maharaj Hospital. Also, pregnant women, who have not taken tetanus or boosters will be immunized. Not only this month, but this drive will be conducted for a week over the next four months,” added Kendre. THANE: The fluctuating temperature due to the sudden rains in the evenings and blistering heat during daytime has given a cold and cough to almost everyone in the city. There has been a steady rise in the cases of gastrointestinal and typhoid among the elders, while viral, cough and cold are increasingly common among children, doctors said. The unpleasant climate has resulted in infections born from various airborne and water borne diseases like respiratory tract infections, sinus problems, diarrhoea etc. “The extreme heat conditions results in food items getting spoilt easily leading to food poisoning. In the last 15 days itself, the number of patients suffering from gastro and typhoid have increased by 60%. The sudden change in the climate has also lead to dehydration leading to fatigue. The ones allergic to dust are falling sick. These people easily suffer from common cold, sinus infections etc,” said Dr Suparna Nirgudkar, consultant physician. “The seasonal variation has led to an increase in the number of patients suffering from fever, cough, cold which usually lasts for three to five days. It is essential to observe kids for the next 72 hours if they have been suffering from high fever. Usually I get around 50 to 70 patients daily out of which around 60% suffer from common cold, cough and fever,” said Dr Mangesh Pate, paediatrician. The doctors have advice to take adequate precautions so that one does not suffer from any ailment. “People should ensure to eat fresh and hot food and avoid roadside food. One should consume only filtered or boiled water. One should even keep the surroundings clean and see to it that there are no mosquito breeding spots in or around the house. If possible, people should avoid going out between 12noon and 4pm and even wear loose and light coloured clothes,” added Nirgudkar. THANE: Citizen activists’ from Thane are planning to launch a no-tax payment agitation starting next month protesting the apparent lenient approach of the TMC towards the octroi default payments. A PIL over the issue filed by a city-based activist Chandrahas Tawde is presently being heard by the Bombay High Court that had also lashed out at the administration and questioned the delay in recovery of dues in its last hearing in 2016. The agitation, justify activists from the Thane Matadata Jagran Abhiyan who announced it on Monday, is to put pressure on the TMC and seek a clarification over its stand over recovery of dues amounting over Rs 150 crore since the last few years. The activists claimed they will now urge residents to not pay their municipal taxes including property and water starting next month unless the administration recovers the arrears from these traders or clarifies its stand on the same. The group expressed shock over how the civic administration was often prompt in hounding common citizens who default on their taxes but was surprisingly lenient towards such evaders who include wine and liquor shops, bars and restaurants and even jewelers. While few of the defaulters reportedly paid up, a majority are yet to cough up the same. The activists said the protest was part of its drive to wake up the TMC. “Why is the administration biased towards recovery of dues from the traders who owe crores as octroi dues to the corporation? The officials have been prompt in penalizing common man and so we are encouraging the residents to stand up for their rights and stop paying taxes till the TMC comes up with its stand,” said Unmesh Bagwe, secretary of the Thane Matadata Jagran Abhiyaan. India has become the heart disease capital of the world, as the latest report by the World Health Organisation suggests heart diseases cause 45 per cent deaths in the country. Recent reports have suggested that 50 per cent of heart patients in India are between the ages of 20 to 40 years. Heart disease in the Indian subcontinent is different from rest of the world. It affects younger people here at least a decade earlier than the west. Smoking remains the most important cause of heart disease in young people. A recent study conducted by All India Institute of Medical Sciences (AIIMS) in Delhi reports that 3 out of 5 people suffer from hypertension. “In India, hypertension or increase in blood pressure due to the sedentary lifestyle and unhealthy dietary practices are among the primary reasons for heart diseases, especially in urban youth. Other factors include alcohol and tobacco consumption. The solutions are to develop healthy dietary practices and to ‘Walk & Workout’. 15-30 minutes of intense physical activity reduces chances of getting heart disease by 30 per cent,” said Dr Sanjay Mittal of Columbia Asia Hospital in Ghaziabad. 30 minutes of activity a day can help prevent heart attacks. If one stops smoking, the risk for coronary heart disease is reduced to half. Learn how to swap unhealthy food with healthier alternatives. Reducing stress – doing meditation/yoga. In a major relief for lakhs of motorists plying daily between Mumbai and Thane, the construction work to release the bottleneck at Kopri road overbridge (RoB) in Thane that connects to the Eastern Express Highway (EEH) will start by January. The project, which will raise the number of lanes to four in each direction, will take around two years to complete. This will come as a convenience to commuters who travel between Thane and Mumbai as the vehicles coming from EEH, which has 10 lanes, would get stuck at the narrow bridge, resulting in traffic jams. The augmentation of the 60-year-old bridge has been stuck in the pipeline since 2003. Due to the delay, the project cost has increased more than 15 times from around Rs 9 crore in 2003 to Rs 135 crore, as of 2017. However, there will not be any traffic diversions for the project, considering the construction will take place on the edges of the existing bridge. But the work will be undertaken in sync with the Central Railway, as it is also a rail overbridge. The tender process has been initiated a year after the MMRDA approved Rs 235 crore for the project in October 2016. But later, the designs were tweaked and the scope of the work was narrowed down, thus reducing the cost by Rs 100 crore. It is now being tendered at Rs 135 crore.